At the beginning of this year, the Permian Basin of West Texas and New Mexico was featured in the New York Times due to recent transactions indicating extreme interest in the area for oil and gas drilling. For example, Exxon Mobil announced in January that it would be purchasing more than 275,000 acres of land in the Permian Basin for an amount in stock and cash that could end up being worth more than $6.6 billion. Literally the day before Exxon Mobil announced its acquisition, Noble Energy purchased Clayton Williams Energy for $2.7 billion, providing the company with 120,000 acres in West Texas that have been known to have an abundance of oil. In total, the region has seen tens of billions of dollars in mergers and acquisitions over the past year, including one earlier in April when Blackstone Group LP purchased EagleClaw Midstream Ventures LLC for about $2 billion. The transaction provides Blackstone with almost 400 miles of natural gas pipelines, allowing the energy firm to take advantage of the ample resources in the area. More energy companies are seeking to invest in oil and gas holdings in the Permian Basin as oil prices rise and drilling technology improves. There will be no shortage of interest in the Permian Basin in the very near future. 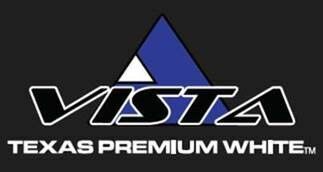 As more oil and gas companies pursue greater ambitions in the Permian Basin to extract the abundance of resources in the area to power and heat our nation’s homes, Vista Sand will be right there providing those companies with the best frac sand in the Southern US. While the oil and gas industry shows no signs of slowing down, Vista Sand’s CEO and Senior Leadership Team are happy to report that the Granbury frac sand supplier is growing as well to meet demand. Learn more about Vista Sand and its latest projects here.